I love my visits to the midwest, especially during the summer. Last night we went out to my favorite haunt when I am visiting my sister. 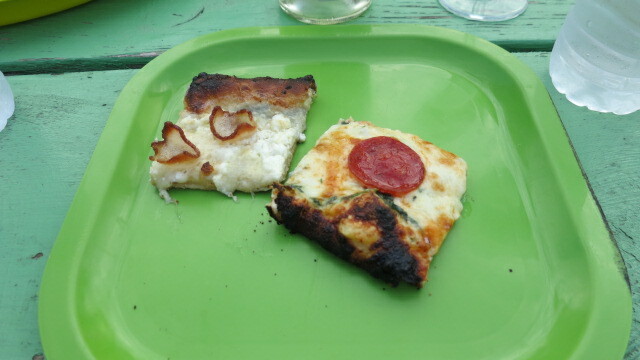 It’s called Heritage Prairie Farm and we went for Mike’s Wood Burning Oven Pizza night. 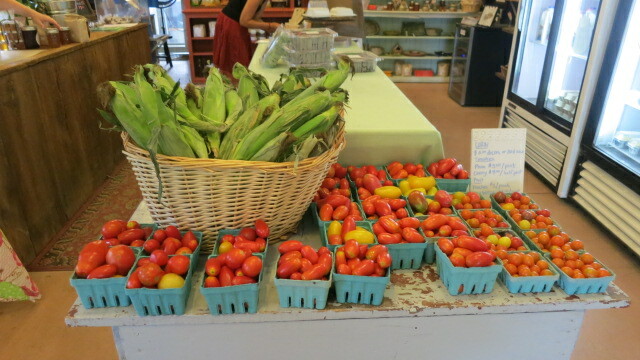 The ingredients are all plucked from the farm and local food artisans. The pizza oven is set up outside in back of the little farm stand. 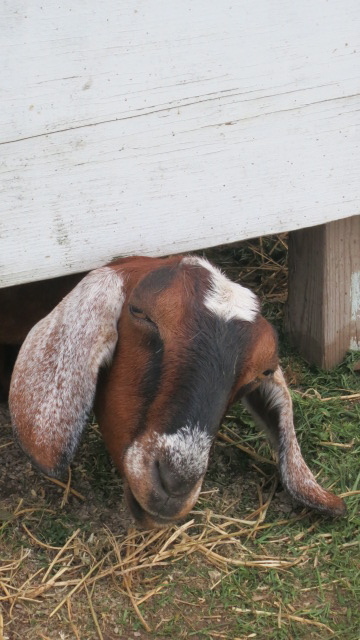 You sit on picnic tables mere feet from an adorable Burrow, Goats and Corn. 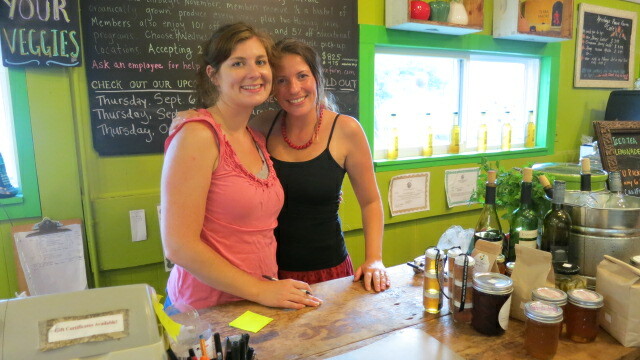 Once you place your order you head on into the farm stand for beverages. That night the signature drink was fresh honey, mint, lemonade and vodka, served in Mason Jars (of course). We loved the pizza so much that were eating off our children’s plates, when the tears started we realized it was in our best interest to order another pizza. We ordered a simple margarita for the kids (the mozzarella made just a few miles away), 4 cheese pizza with homemade bacon, fresh spinach with a white garlic sauce and pepperoni, and a sausage/bacon/wild mushroom pizza. We ate so fast I forgot to snap a shot of the pizzas when they arrived at the table. Luckily, I got this before the plate was empty. If you don’t want to sit at a picnic table to enjoy pizza and cocktails, you can cozy up to this spot. 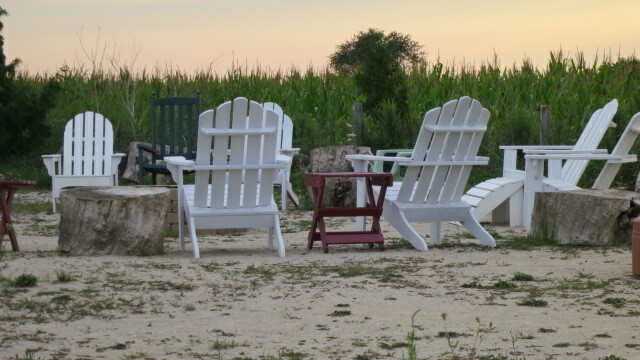 Perfect for wine drinking and sunset watching. 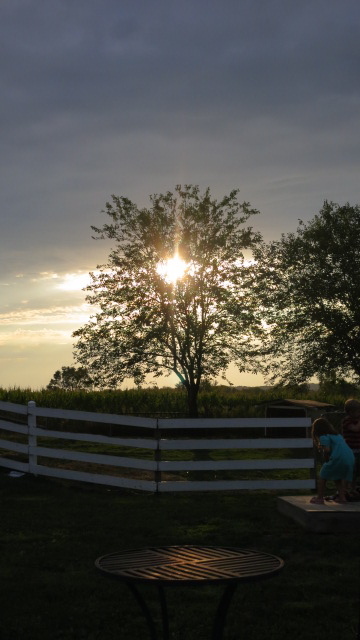 The kids ran around and danced to The Stones, played with the animals and picked apples off the tree. While they were working off their steam I ventured(cocktail in hand) into the market for a little damage. 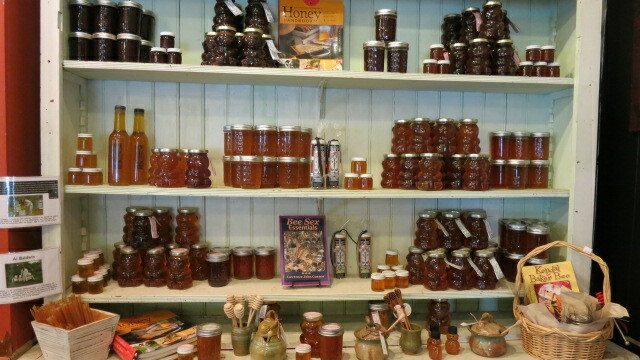 I love their home-grown products and I love to support the farm. Win-Win. I gathered bags of freshly milled whole grain wheat, buckwheat and organic popcorn. Jars of homemade pickles and pickled beets. And a ton of honey….Rosemary, Lavender, Cocoa and Plain. 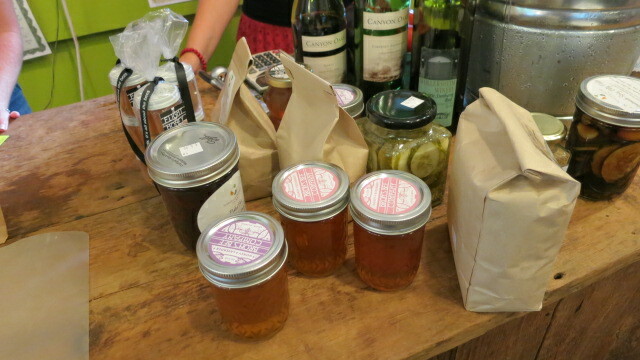 I bought flights of honey for hostess gifts. 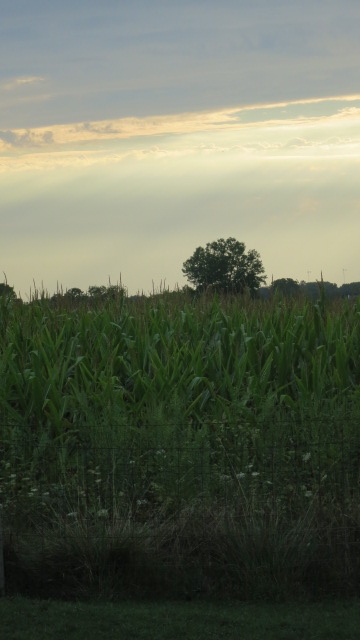 Despite the drought that has devastated the midwest, they had fresh corn for sale along with a variety of other organically grown vegetables. 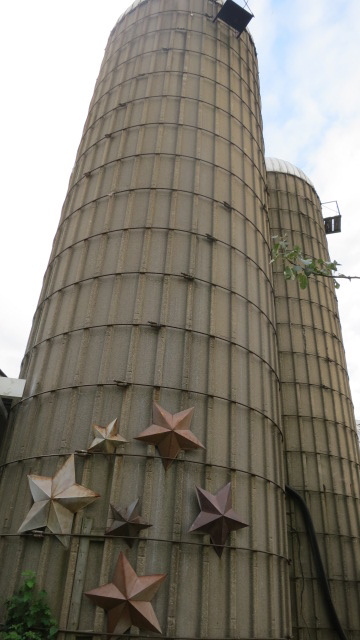 The Farm also offers the venue up for weddings and events. 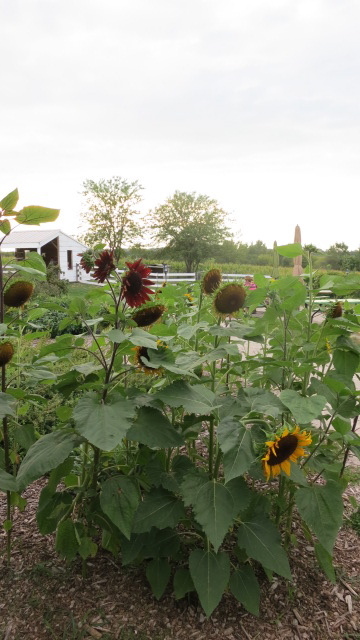 They have cooking classes, a Saturday Farmer’s Market, and year round Farm Dinners that are based on seasonal crops. 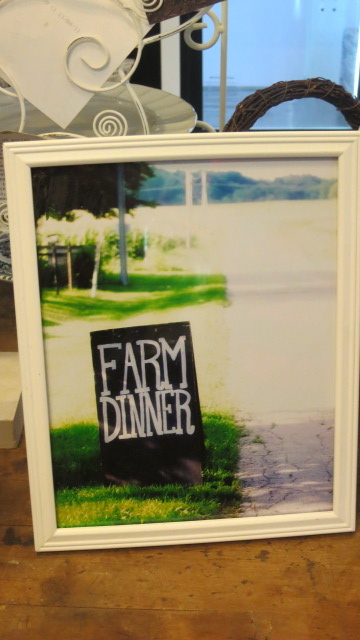 Next time, I am scheduling my trip around a Farm Dinner! Sun setting and stomaches full, we headed on home. Thanks Heritage Prairie Farms for another great experience! Carrie – what a lovely spot and dinner, yum! But how in the world are you going to get that haul o’ goods home?! Had to ship it all, my bags were filled with antiquing treasures! I want to come to the farm and have pizza. Call me next time. 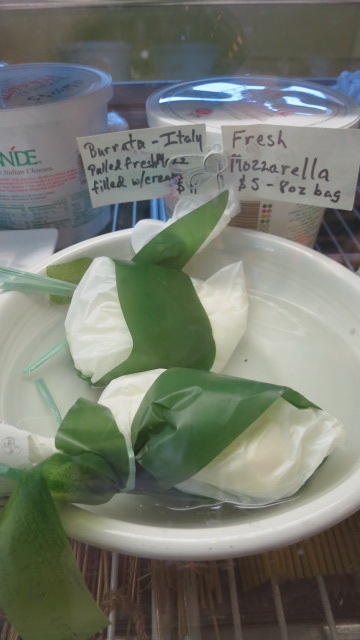 The burrata looks amazing. Wow, everything looks amazing. 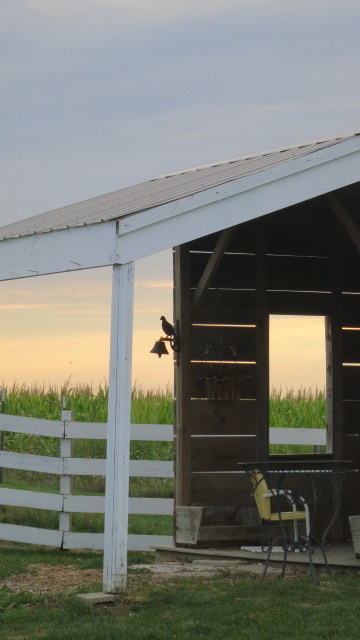 I want to have dinner on the farm! Your pictures are amazing. I want to have dinner on the farm!